They may have a general idea of what they want to transition into, but not a specific plan for it. They may lack awareness of how certain personality characteristics impact how they navigate transitions. They overlook the importance of building a network and it becomes and afterthought; they don’t understand it’s value until they need something and realize that their “go-to person” is part of the old world, not the new world. Professional transitions are critical times when small differences in your actions will have disproportionate impacts on results. It is a time when people are most vulnerable because they don’t completely understand the challenges they face, and haven’t developed the relationships they will need to succeed. All too often the first weeks are unstructured, as opposed to days with specific outcomes in mind. Good people can fail before they get started because of critical errors made due to a lack of planning. We face similar challenges during personal transitions whether we’re transitioning into retirement, expanding our family, adjusting to an unexpected event, or perhaps moving across the state or even country. People waste a lot of time and experience a lot more stress when they fail to plan adequately for transitions. Whether it’s a personal or professional transition, three things you can do to help ensure success are: Clearly define your purpose, cultivate optimism, and strategically build relationships. A clearly defined purpose is critical during transitions because the purpose is the lens through which you’ll interpret all events and make decisions. A clear purpose reflects your reason for being. Some people have an overall life purpose, but you can also define a purpose specific to the new chapter you’re beginning that will help ensure that you focus on what is important to you and accomplish what you want to achieve. Optimism is the tendency to focus on the positive aspects of situations and people, see opportunity where others may not, and generally expect positive outcomes. Optimism doesn’t mean ignoring the negative; it means accepting bad things when they happen and finding ways to move forward. During transitions, optimism helps to protect against stress and the illness that can accompany it. It also facilitates problem-solving and serves as a catalyst for taking action and moving more quickly through transitions to establishing a rewarding new chapter. 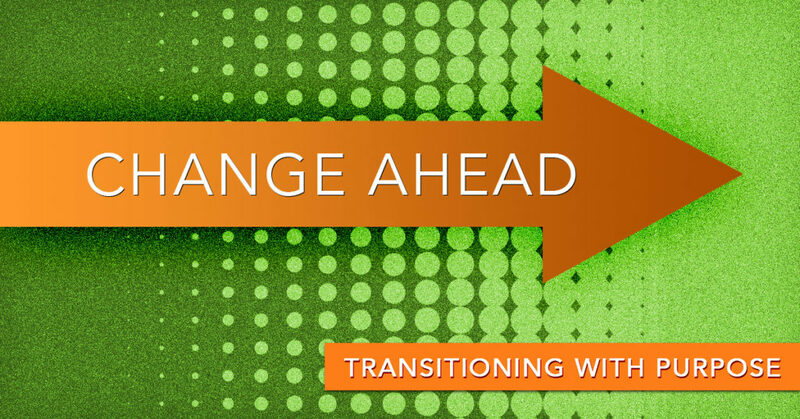 Are you in the midst of, or about to begin a transition in your personal or professional life? Read through the posts in this series for insight on things you can do you can successfully navigate transitions. Our mission is Relentless Committment to Improvement in helping to develop strong leaders. If you'd like to receive insightful, actionable information on Leadership, Influence, Emotional Intelligence and more, we invite you to subscribe to our Newsletter.